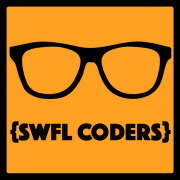 SWFL Coders is a group for techies, developers, coders and non-coders, who wish to learn more about the fantastic world of programming. Our meetings are held twice a month, one at our official home the Collaboratory in Downtown Fort Myers and the other one in Naples or Bonita Springs. Our goal is to make the SWFL Tech Community bigger, helping techies connect and learning together, while learning from each other.